J-Wire extends congratulations to all members of the Jewish community who have been honoured today by their country…including an award which has coupled a wife to her husband in sharing the country’s highest honour, the AC, and an award whose recipient now resides in Israel. For eminent service to the advancement of social equity, particularly to the health and welfare of people with a disability, and to the community. Principal Member, Independent Advisory Council, since 2013. Chair, National People with Disabilities and Carers Council (nowthe National Disability and Carers Advisory Council), 2008-2013. Co-Founder and Chief Executive Officer, Our Community, 2000-2009. Foundation Director, Australian International Health Institute, University of Melbourne, 1999-2001. Foundation Chief Executive Officer, Victorian Health Promotion Foundation (VicHealth), 1988-1998. Transitional Chief Executive Officer, Australian National Preventative Health Agency, 2011. Chair, International Evaluation Committee, Thai Health Promotion Foundation, 2011-2012. Member, Human Rights Consultation Committee (Victoria), 2005-2006. Patron, Australian Alliance for Inclusive Education, current. Former Chair, Disability Advisory Council of Victoria. Chair, Royal Women’s Hospital, 2004-2013. Board Member, Malthouse Theatre, 1983-1992. Trustee, National Gallery of Victoria, 1985-1995. Council, Royal Melbourne Institute of Technology, 1992-1997. Patron, Compassionate Friends Victoria, since 2004. Patron, WISA Wellbeing in Schools Australia, since 2016. Chair, Australian Association of Philanthropy (now Philanthropy Australia), 1982-1985. Appointed an Officer of the Order of Australia, 1991. Honouree, Victorian Honour Roll of Women, 2005. Nominee, Victorian Australia Day Local Hero, 2009. Professor Rhonda Louise Galbally had polio from when she was thirteen months old, uses a wheelchair so has an experience and understanding of disability. Her parents were very pro integration especially with schooling. In those days people would have been segregated with very negative effects. Her book, Just Passions, is her journey through the past five decades to track the sources of her passion for social justice, and her belief in community and group action that continue to fuel her working life. For eminent service to the community through humanitarian, philanthropic and fundraising endeavours, to social inclusion, and to Australia-Japan relations. Co-Founder, Gandel Philanthropy, since 1978. Founder, The Pauline Gandel Gallery of Japanese Art, National Gallery of Victoria, since 2012. President Emeritus, Urasenke Tea Society in Victoria, since 2003. 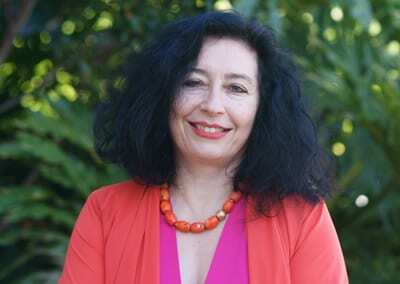 Founder, The Pauline Gandel Children’s Gallery, Museum of Victoria, since 2016. Contributor, Shout Out, Centre for Multicultural Youth, since 2015. Co-Founder, Gandel Philanthropy Balance Disorder Diagnostics Unit, The Royal Victorian Eye and Ear Hospital, since 2014. Contributor, Victorian Cooperative on Children’s Services for Ethnic Groups, since 2014. Contributor, Anne Frank Travelling Exhibition, 2012-2018. Contributor, Hands on Learning Organisation, 2012-2014. Contributor and Patron, Emmy Monash Aged Care, since 2008. 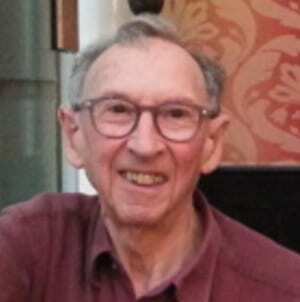 Co-Founder, Gandel Holocaust Studies Program for Australian Educators, since 2008. Contributor, The Royal Women’s Hospital, since 1990’s. Founding Contributor, Koorie Heritage Trust, since 1985. Contributor, Jewish Museum Australia, since 1982. Contributor, Monash University, since 1980’s. Contributor, Mount Scopus Memorial College, current. Patron, Centenary Appeal, Vision Australia. Patron, Cabrini Health, Capital Appeal. Recipient, Premier’s Award for Community Harmony, 2016. Recipient, Great Australian Philanthropy Award, Research Australia, 2015. Recipient, Honorary Doctorate, Monash University, 2014. Recipient, The Order of the Rising Sun, Gold Rays with Rosette, Government of Japan, 2014. Recipient, Commendation from the Foreign Minister of Japan, 2013. Recipient, Visionary Benefactors, National Gallery of Australia, 2010. Recipient, Patron, Emmy Monash Aged Care, 2008. Recipient, Life Governor, Vision Australia, 2002. Pauline Gandel told J-Wire: “I am greatly honoured to receive this award. Giving back to the community is at the heart of our family, and my husband and I, and our children and grandchildren don’t do it for the accolades. We know that we have been very fortunate in life and we feel a strong obligation to give back, to contribute, and to help others less fortunate to build fulfilling lives. Being the recipient of the Companion of the Order of Australia is a real privilege, and a responsibility to continue with my philanthropic work, hoping to inspire others to be generous and improve our society. Most of all, I want this award to inspire my own family, my children and grandchildren, to continue following in the footsteps of my husband John and me. As much as I am dedicated to my community work, I am also dedicated to my family and being there for them – always. This recognition is very much a recognition of all the causes and organisations that I have been supporting, from arts and culture to medical research, from Indigenous programs and education to help build social cohesion and inclusion, funding and supporting both the Jewish and general community. For distinguished service to social welfare, particularly through the development and delivery of innovative programs. Founder and Chief Executive Officer, since 2004. Founder, Nourish Program (youth at risk hospitality training). Founder, NEST – Nutrition Education Sustainability Training. Founder, FEAST – Food Education and Sustainability Training (national curriculum accredited schools program). Founder, Fight Food Waste, (consumer focussed food waste prevention education program). Coordinator, and establishment of UKHarvest, KiwiHarvest and SAHarvest (South Africa Harvest). Developer of food rescue and redistribution model shared and activated globally in Thailand, United States of America, Vietnam, Egypt and Italy. Australian Partner, Think.Eat.Save, since 2014. Coordinator, Think.Eat.Save events, United Nations Climate Change Conference, Peru (2014), Bankgkok (2015) and South Africa (2016). Member, International Special Events Society, 2000-2011. Recipient, Honorary Doctorate, Griffith University, 2017. Recipient, Social Entrepreneur of the Year, Global Impact, Ernst and Young, 2012. Recipient, Veuve Cliquot Initiative for Economic Development Award, 2011. Recipient, Australia’s Local Hero, Australian of the Year, 2010. Recipient, New South Wales Local Hero, 2010. Of the many efforts she has made on behalf of others, the Nourish Program is the initiative of which she is most proud Roni Kahn told J-Wire. “The hospitality training program we do with vulnerable, at-risk youth opens up their world. We open a door for these young people and change their lives for the better. We have worked with about 200 kids and the positive feedback we get from them at the end of a program is what drives me” she said. “I am extraordinarily proud to be recognized by my country and blessed by this huge honour and to work with a wonderful team at OzHarvest. For distinguished service to the performing arts, particularly to music, as an orchestral, operatic and chamber music composer. Ms Kats-Chernin is an Orchestral, Operatic and Chamber Music Composer. ‘Deep Sea Dreaming’, Opening Ceremony, Sydney Olympic Games, 2000. ‘Water’, Opening Ceremony, Sydney Rugby World Cup, 2003. Composer-in-residence, Melbourne Symphony Orchestra, 2017. Composer-in-residence, Queensland Symphony Orchestra, 2011. Joint Recipient, Sidney Myer Performing Arts Award, 2014. Recipient, Award for Best Original Score, Helpmann Awards, 2004. “It is a huge honour and totally unexpected. I was flabbergasted when I learned I had been put forward. I am just doing what I love” Elena Kats-Chernin told J-Wire. “As a musician, I am always particularly pleased when someone in the Arts – such as music and dance – has been included, I just never imagined it would ever be me. It’s nice to know that what I do matters” she said. She considers herself privileged to have made a career in music as she was initially discouraged from doing this when setting out. The Award has energized her and validates her as an artist. At present, she is far too busy writing an opera to take time off to celebrate. For distinguished service to medical research, and to education, in the field of infectious diseases, particularly HIV/AIDS. Inaugural Director, The Peter Doherty Institute for Infection and Immunity, since 2014. Professor of Medicine, University of Melbourne, since 2014. Honorary Professor of Microbiology and Immunology, Department of Microbiology and Immunology, since 2003. The Ian Potter Foundation Fellow in Infectious Diseases, 1999-2001. Consultant Physician, Victorian Infectious Diseases Service, 1999-2003. Consultant Physician, Infectious Diseases and Internal Medicine, 1995-1997. Consultant Physician, Department of Infectious Diseases, since 2014. Professor/Director, Department of Infectious Diseases 2003-2014. Honorary Professor of Medicine, Department of Infectious Diseases, since 2014. Co-Head, Centre for Biomedical Research, 2010-2014. Co-head. Centre for Virology, 2007-2010. NHMRC Practitioner Fellow, since 2007. NHMRC Chief Investigator Program Grant, since 2014. NHMRC Chief Investigator, Australian Partnership for Preparedness Research on Infectious Disease Emergencies (APPRISE) Centre of Research Excellence, since 2016. NHMRC Chief Investigator, for more than20 NHMRC funded grants including project and development grants, since 2000. Chair, NHMRC Health Translation Advisory Committee, since 2015. Member, NHMRC council, since 2015. Member, NHMRC Track Record Assessment Working Group, 2017-2018. Chair, NHMRC Practitioner Fellowships Peer Review Panel, 2013. Member, NHMRC Early Career Fellowships Panel, 2011. Chair, NHMRC People Support Grant Review Panel, 2009. Member, Scientific Advisory Board, since 2018. Chair, Fast Track Cities UNAIDS Initiative for Melbourne, since 2015. Member, Advisory Board to the Executive Director, since 2015. Australian Representative, UN High-Level Meeting on the end of AIDS, New York, 2016. Member, Lancet Commission on HIV, 2015. Member, Strategic and Technical Advisory Committee on HIV, since 2015. Chair, Ministerial Advisory Committee on Blood Borne Viruses and Sexually Transmitted Infections, since 2015. Member, Ministerial Advisory Committee on AIDS, Sexual Health and Hepatitis, 2003-2008. Member, Science, Medical Research and Technology (SMaRT) Panel, since 2016. Co-chair, Global Challenges Working Group in Infectious Diseases, since 2018. Member, Departmental Advisory Committee on Blood Borne Viruses and Sexually Transmitted Infections, 2009-2014. Member, Governing Council (Asia and Pacific Region), since 2016. Co-chair, IAS Towards an HIV Cure Advisory Board, since 2017. Co-chair, IAS Towards an HIV Cure Symposia, since 2013. Local Co-chair, 20th International AIDS Conference, AIDS2014, 2014. Deputy Chair, IAS Conference on HIV Pathogenesis, Treatment and Prevention, Sydney, 2007. Australasian Society for Infectious Diseases. Chair, Quality Assurance Program, 2003-2014. Deputy Chair, Immunovirology Research Network, 2003-2014. Member, Scientific Advisory Committee, 2010. Member, International Advisory Panel, Lancet HIV, since 2015. Recipient, In Style Magazine and Audi Women of Style Award in Science, 2016. Recipient, Peter Mills Medal, Research Australia, 2015. Recipient, Tikun Olam Award, Hadassah Australia, 2014. Recipient, Melburnian of the Year, City of Melbourne, 2014. Recipient, Felicitation Award, Mumbai HIV Congress, 2012. Recipient, Research Excellence Award, Victorian AIDS Council, 2011. Sharon has spent most of her career working between medicine and science as well as research largely in HIV. A great example of when science, medicine, and innovation come together was during the AIDS conference in Melbourne in 2014, Professor Sharon Ruth led and chaired the conference and it was an incredible opportunity for community, leadership, and science. 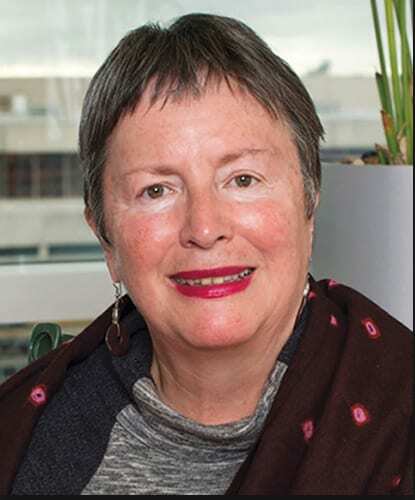 Professor Sharon Ruth’s current role involves discovery, clinical services, and health services in AIDS, influenza, and other infectious diseases. For distinguished service to legal education, as an academic and editor, to professional development, and to the community. George Paton Chair of Law, 1976-2002. Dean, Faculty of Law, 1986-1988. Deputy Chair, Seafarers Rehabilitation and Compensation Authority, 1993-1998. Part-Time Senior Member, Workcare Appeals Board Victoria, 1990-1992. Secretary, Victorian Chief Justice’s Law Reform Committee, 1967-1984. Visiting Professor, University of California, Berkeley, 1971. Visiting Associate Professor, Queens University, Ontario Canada, 1970. Former Doctoral Examiner, University of Cambridge. Recipient, John G Fleming Memorial Award for Torts Scholarship, 2000. Recipient, AILA Insurance Law Prize, 2003. Recipient, Doctor of Laws, University of Melbourne, 1983. Harold is still writing new editions of books he has published, one for students and one for practitioners because of all the changes. Harold Luntz was an Emeritus Professor in The University of Melbourne, Law School. Until his retirement at the end of 2002, he held the George Paton Chair of Law. Thereafter, he continued until 2008 to teach in the postgraduate program. In 2000 he was the inaugural recipient of the John G Fleming Memorial Award for Torts Scholarship and in 2003 was awarded the AILA Insurance Law Prize. He also served from 1990 to 1992 as a part-time senior member of the Workcare Appeals Board in Victoria and from 1993 to 1998 as Deputy Chair of the Seafarers Rehabilitation and Compensation Authority. From 1986 to 1988 he was Dean of the Faculty of Law. From 1967 to 1984, Harold was the secretary of the Victorian Chief Justice’s Law Reform Committee. From time to time, he acted as a consultant to other law reform agencies and government bodies. He was educated in South Africa and at Oxford University, before migrating to Australia in 1965. For distinguished service to the banking and financial regulation sectors, to not-for-profit organisations, and to women. Director, Grattan Institute, since 2017. Chair, Independent Parliamentary Expenses Authority, since 2017. Co-Chair, Australian Chapter, Women Corporate Directors, current. Director, National Australia Bank, 2004-2016. Member, Federal Remuneration Tribunal, 2010-2014. President, Administrative Review Council, 2005-2009. Benefactor, perpetual Roth-Segal Harvard Scholarship. Member, Audit and Risk Committee, and the Financial and Remuneration Committee, current. Board Member, UNSW Foundation, current. Member, Finance, Risk, Audit and Nominations Committees, current. Chair, Finance, Audit and Risk Committee, 2015-2017. Trustee, Sydney Opera House Trust, since 2014. Member, Major Performing Arts Board, Australia Council, 2002-2008. Deputy President, Executive Council of Australian Jewry, current. Appointed a Member of the Order of Australia, 2005. Named 100 Women of Influence, Australian Financial Review, 2012. Jillian Segal told J-Wire: “I’ve been very fortunate to have had lots of opportunities to participate in community…both Jewish and non-Jewish community and I have found it so rewarding. I have enjoyed them all. From education, my involvement in the University of NSW, The Sir John Monash Foundation which has enriched the lives of young people develop as leaders to the Arts through the Sydney Opera House, to medical research through the Garvan Institute and it has been exciting it establish a venture with the Weizman Institute in forming the Weizman Centre here in NSW which came about through a mission to Israel organised by the Australia Israel Chamber Commerce which I chair. Gillian Segal has received the OA following her already being honoured with an AM. For significant service to lawn bowls, particularly at the national and international level. Advising Consultant to Government appointees for the promotion of the sport of bowls throughout the provinces starting in Xinxiang Henan, since 2018. Certified Coach and Umpire, since 2009. Elected Chairman, MCC Kew Sports Club, 2017. Chairman, Caulfield Park Sports Club, 2007-2008. Past President, Vice-President and Secretary. Awarded a Medal of the Order of Australia, 2006. Inductee, Maccabi Victoria Hall of Fame, 2016 and 2011. Life Member, Lawn Bowls Association of Israel, 2013. Recipient, Great Honour Citizen Award, Municipality of Raanana (Israel), 2013. Recipient, Volunteer Award, Glen Eira Council, 2010. Recipient, Community Recognition Award, Jewish Community Council of Victoria, 2007. Joe Aarons said: “I love the sport. I love Maccabi in general. I work with Maccabi in Victoria with juniors in sports and for juniors who play sports. When I was five years old, I played sports with my best friend and he took up lawn bowls in Mt. Scopus. So I took up lawn bowls as well and went straight into administration.” The club had him involved straight away. For significant service to medicine, and to education, in the fields of palliative care and medical oncology. Norman Levan Chair of Humanistic Medicine, since 2007. Co-Founder, Integrated Oncology and Palliative Medicine Department, 1994. Director, Cancer Pain and Palliative Medicine Service, since 1994. Member, Designated Centre Working Group, current. Chief Scientist, Magnitude of Clinical Benefit Scale Task Force, since 2015. Coordinator, international consortium studies on the availability and accessibility of anti-cancer medications, 2014-2016. Founder and Chair, Palliative Care Working Group, 1999 and 2008-2013. Member, Research Steering Committee 1997-2005. Associate Professor of Medicine, Ben Gurion University, since 2008. Visiting Professor in Palliative Care, Hong Kong Society of Palliative Medicine, 2002. Visiting Professor in Palliative Care, Singapore Palliative Care Society, 2001. Established palliative care teaching program, Monash University, Victoria, early 1990s. Head, ‘Global Opioid Pain Initiatives Studies’ published in Annals of Oncology, 2010 and 2013. Senior Editor, ‘Oxford Textbook of Palliative Medicine’, current. Author of a booklet ‘A guide for patients with advanced cancer’, 2011. Member, European Society for Medical Oncology, since 1998. Member, Israel Medical Association, current. Fellow, Royal College of Physicians (London), 2004. Member, Israel Palliative Medicine Association, since 1998. Member, International Association for the Study of Pain, since 1995. Member, International Association of Hospice Physicians, since 1995. Fellow, Royal Australasian College of Physicians, since 1990. Recipient, Honorary Doctorate of Laws (Honoris Causa), Monash University, 2017. Recipient, Danielle Foundation Award, 2017 (for outstanding humanism in care). Recipient, Medical Book Awards, British Medical Association, 2016. Recipient, Policy Development Award, European Association for Palliative Care, 2016. Recipient, European Society for Medical Oncology Award, 2015 (for contribution to the development of oncology in Europe). Nathan Cherny told J-Wire: “As a dual citizen expat, who is both a proud Australian and Israeli citizen, it is deeply touching to have my professional life in palliative medicine and cancer care recognized in this way in my native Australia. That, after an absence of 29 years, I am still considered part of the Australian community is very touching to me. I count my blessing, for having had phenomenal parents (Jack and Betty Cherny) and a loving extended family; extraordinary educational opportunities in Australia; exposure to Jewish and Australian values of community, humanism and tikun olam and inspirational professional mentors who set me on this professional trajectory. I am hoping to return to Melbourne to share the ceremony and to celebrate with my father, brother extended family and friends. For significant service to community health, particularly to people living with dementia and their families. Convenor, First National Alzheimer’s Conference, 1990. Founding Board Member, Alzheimer’s Australia Research Limited (now Dementia Australia Research Foundation), 1998-2000. Honorary Life Member, since 2007. “I’m very proud because I initially became involved when my mum was diagnosed at 50. A group of us got together and helped form the Alzheimer’s Disease and Related Disorders Association. This is all in honour of my mother, the Mary Chester Center was set up to offer respite and resources for families. Everything was for nothing as they were all volunteers”, Lynette Chester told J-Wire. For significant service to medical education in the field of pain management. Director, Professional Affairs, since 2010. Representative, Pain Australia Board, 2011-2015. Maintenance of Professional Standards Officer, 2006-2008. Senior Editor,‘International Journal of Pain Medicine’, since 2009. External Project Collaborator, POINT (Pain and Opioids in Treatment) Study, NDARC, University of New South Wales, since 2012. Secretary, Australian Pain Society, 1997-1999. For significant service to hockey, and to the Jewish community of St Kilda. Member of Honour, since 2012. Member, Board of Management, 1976-2015. President, Cranbourne Country Club, 1998-2013. Awarded a Medal of the Order of Australia, 1998. “I feel this is for a wider group of people – my family and colleagues are a big part of it,” he said. He told J-Wire it is humbling because he did not get involved in hockey or the synagogue to be publicly recognized. “It is very nice to get another award and I appreciate it,” said Peter Cohen. For significant service to the broadcast media as a radio presenter, to the law, and to the community. Host, Morning Show, since 1997. Host, The Conversation Hour, since 1997. Former Host and Producer, The Law Report, ABC Radio National. Employee, radio and television host, since 1989. Past Member, Social Security Appeals Tribunal, 1980s. Principal Lawyer, Fitzroy Legal Service, 1984-1986 and Former Volunteer. Volunteer, Tenants Union Legal Service, 1979-1984. Past Member, Victoria Law Foundation. 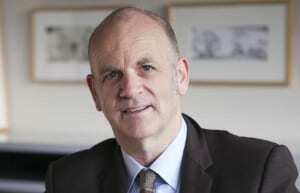 Trustee and Foundation Member, Tim McCoy Trust, since 1988. ‘From Here to There’, Harper Collins, 2010. ‘Lawyers in the Alice’, 1991. Distinguished Fellowship Recipient, Monash University, 2013. 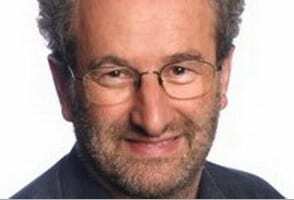 Recipient, ABC Local Radio Broadcaster of the Year, Australian Broadcasting Corporation, 2003. For significant service to education, to business, and to the Jewish community of New South Wales. Foundation Board Member, since 2013. Trustee, Building Fund, since 2005. Vice President, 1996 – 1998. Honorary Secretary, 1995 – 1996. Board Member, 1994 – 1995. Member, Board of Governors, 1998 – 2006. Member, Honorary Treasurer, 1994 – 1998. Founder, Jewish Learning Centre (JLC). Chair, Kashrut Commission of Enquiry in New South Wales. Co-Founder and Director, 1985 – 1997. Directory and Executive Deputy Chairman, 1986-2005. Director, Quartet Ventures, since 2016. Chairman, SOLA Sport, 2010 – 2015. Chairman, Mothercare Australia, 2010 – 2013. Chairman, Think Education, 2007 – 2013. Director, The Optical Company, since 2006. Chairman, hiPages, 2007 – 2014. Chairman, Oporto Holdings, 2002 – 2007. Board Member, Kehillat Masada, 1987 – 1990. Treasurer and Board Member, Masada College, 1985 – 1992. Director, Norgen Vaaz, 1983 – 1987. Life Patron, Moriah College, 2014. Robert Gavshon told J-Wire: I grew up in a home committed to community and professional service, and the principle of putting more into life than taking out of it was imbued in our family. For significant service to the community through charitable, health and cultural organisations. Chairman, Oxfam Australia, since 2014. Former Board Member, Royal Children’s Hospital, Melbourne. Chairman, Regional Arts Australia, 2012-2014. Member, Library Board of Victoria, since 2010. Chairman and National Leader, Deloitte Foundation, current. For significant service to the LGBTIQ community through advocacy roles, and to the broadcast media. Treasurer, and Media Spokesperson, current. Helped to establish organisation, 2010. Treasurer and Spokesperson, 5 years. Helped to establish organisation, 2007. Co-Founder, Transfamily, (support group for parents and siblings of transgender people). Involved in the launch and management of the ‘No to Homophobia’Campaign, 2010s. Member, Victorian Attorney-General’s Ministerial LGBTI Advisory Committee, over last 10 years. Life Member, Zoe Belle Gender Collective. Presenter, ‘Out of the Pan’ 3CR Radio Show, since 2005. Presenter, Joy 94.9 Radio. 1998-2004. Inducted, Victorian Women’s Honour Roll, 2016. 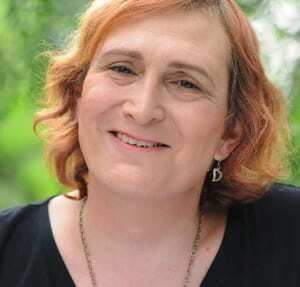 (first transgender woman to be awarded this honour). Recipient, ‘LGBTI Person of the Year’ Award, GLOBE (Gay and Lesbian Organisation of Business and Enterprise) community awards, 2015. Included, ‘Top 100 Creative and Influential People in Melbourne’, ‘The Age’, 2011. Awarded, ‘Activist of the Year’, ALSO Foundation, 2010. For significant service to criminal law, and to the community through pro-bono contributions to sporting bodies. Director, Sentencing Advisory Council of Victoria, since 2004. Co-Chair, National Criminal Law Committee, Law Council of Australia, 2003-2018. Arbitrator, Court of Arbitration for Sport, since 2000. Co-Editor, ‘Bourke’s Criminal Law Victoria’, since 1996. Member, Editorial Board, ‘Criminal Law Journal’, since 2005. Queen’s Counsel, Victoria, since 1994. Queen’s Counsel, Western Australia, since 1996. Chair, Criminal Law Section, 1993-2001. Chair, Criminal Law Specialisation Advisory Committee, 1994-2001. Honorary Team Advocate, Athens Olympic Games, 2004. Member, Panel of Advocates, Australian Olympic Team, Sydney Olympic Games, 2000. Advisor, Sydney Olympic Games, 1997-1998. Director and Board Member, 2006-2015. Tribunal President, 2016-2017 and 2002-2006. Honorary General Counsel, West Coast Eagles (Australian Football League), since 2004. 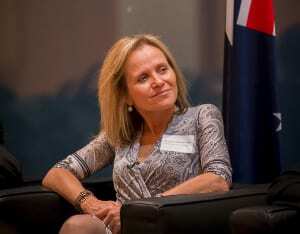 Honorary Counsel, Skiing and Snowboarding Australia, 2002-2010. Chair, Hall of Fame Selection Committee, Maccabi Victoria, 2016. Chair, Maccabiah Games Selection Justification Panel, Maccabi Australia, 2012-2013. Member, Board of Governors, Maccabi Australia, 2007-2008. Member, Court of Honour, Maccabi World Union, 2002-2006. President, Maccabi Australia, 1991-1993 and 1984-1985. Vice-President, Maccabi World Union, 1994-2002 and Vice Chairman, 1991-1993. Vice-President, Maccabi Australia, 1989-1990 and 1981-1983. Recipient, Service Award, Law Institute of Victoria, 2004. Recipient, Pro Bono Award, Victoria Law Foundation, 1996. “I am proud and honoured to receive this Australia Day honour,” David Grace told J-Wire. “I certainly never sought or expected to receive it, but I am very grateful,” he said. He believes that it is important for people to use their skills and abilities to assist others and benefit society and has tried to do this throughout his life. 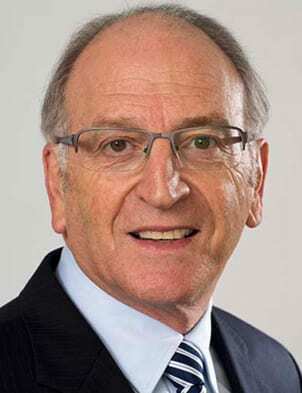 David Grace says he has had a lifelong devotion to Maccabi, athletics, football and the law and has been instrumental in making changes to laws for the betterment of the community. For significant service to medical education and research in the field of sleep disorders. Head, Sleep and Circadian Research Group, Woolcock Institute of Medical Research, since 2004. Head, Centre for Research Excellence in Sleep and Circadian Translational Neurobiology, current. Program Leader, Cooperative Research Centre (CRC) for Alertness, Safety and Productivity, current. Senior Principal Research Fellow, current. Member, various Expert Panels, 2003-2015. Australasian Representative, Governing Council, 1990-1992 and 1995-2003. Chairperson, WorldSleep Federation Congresses, Cairns, 2007 and Kyoto, 2011. Honorary Medical Officer, New South Wales, current. Helped establish the group, 1987. Executive Member, Sleep/Respiratory Neurobiology Committee, 2007-2011. Member, Sleep Disorders and Driving Working Group, 2010-2012. Member, Respiratory and Sleep Medicine Curriculum Writing Committee, 2004-2008. Member, Sleep Medicine Credentialing Working Group, 1998-1999. Member, New South Wales State Committee 1986-1991. College Nominee, Appointments Committee, Western and South Western Area Health Service 1989-1996. Executive Member, (Immediate Past-President), 1997-1998. Head, Organising Committee, Annual Meetings, 1995-1999. Founding Member and Chairperson, Research Committee, 1988-1992. Co-Opted Member, Specialist Advisory Committee (Sleep Medicine Credentialing Working Group) 1998-1999. Chair, Clinical Respiratory Physiology/Sleep Special Interest Group, 1990-1992. Member, Clinical Care and Resources Committee, 1991-1992. Advisor on Narcolepsy and Sleep Disorders, Australian Sports Drug Medical Advisory Committee, current. Advisor, Medical Committee, International Olympic Committee, current. Consultant, Australian sportsmen and sporting teams on sleep and performance including the Australian Rugby Union team. Leader, Australasian Sleep Trials Network (ASTN), current. Member, Panel of Clinical Experts, Prostheses and Devices Committee, Department of Health, 2000s. Chair, Advisory Group, Insomnia, National Prescribing Service, Department of Health, 2010. Chair, Fatigue Working Party, Country Roads Summit, New South Wales Roads and Traffic Authority, 2004. Advisory Board Member, WFSRS Worldwide Project on Sleep and Health, World Health Organisation, 1998-1999. Member, Working Group, Sleep Study Medicare Benefit, Department of Health, 1988-1996. Former Western Pacific Representative, ICD-11 Working Party for Sleep Disorders, World Health Organisation. Has published more than 300 peer reviewed articles and 41 book chapters. Professor of Sleep Medicine, since 2008. Involved in the establishment of multidisciplinary clinics at the Brain and Mind Centre. Senior Staff Specialist, Respiratory and Sleep Medicine, Royal Prince Alfred Hospital, current. Recipient, Research Medal, Thoracic Society of Australia and New Zealand, 2015. 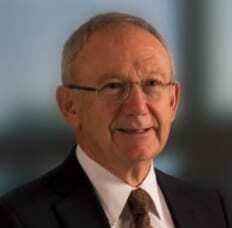 Recipient, Distinguished Professor Award, Sydney Medical School, 2014. Recipient, Royal Prince Alfred Foundation Medal, Royal Prince Alfred Hospital, 2012. Recipient, Nathaniel Kleitman Distinguished Service Award, American Academy of Sleep Medicine, 2011. Recipient, Distinguished Achievement Award, Australasian Sleep Association, 2010. When Professor Grunstein was a medical student he ended up going to Stanford University and developed a passion and strong interest in his field through the Sleep Laboratory. Sleep disorders and sleep medicine didn’t exist then and he commenced working full time in this area. He is currently Professor of Sleep Medicine and head of the NHMRC Centre for Integrated Research and Understanding of Sleep (CIRUS) and the NHMRC Australasian Sleep Trials Network. He was the President of the World Sleep Federation (2007-11) which represents over 12,000 researchers and sleep clinicians globally and was President of the Australasian Sleep Association 1994-1997. He has also consulted Australian sportsmen and teams on sleep and performance and has diverse interests in clinical research in sleep disorders and sleep health. His research includes diagnosis, effects, and management of sleep apnea, epidemiology of sleep disorders, the impact of sleep loss on human health, interaction of work and sleep, and evaluating and developing new treatment approaches in sleep disorders. For significant service to medical education and research, particularly in the field of addiction medicine. Head, Discipline of Addictive Medicine, University of Sydney, since 2008. Senior Staff Specialist, Royal Prince Alfred Hospital, since 1998. Clinical Director, Sydney Local Health District Drug Health Service. Regional Editor, ‘Alcoholism: Clinical and Experimental Research’, current. Has written over 200 peer-reviewed journal articles. Practitioner Research Fellow, National Health and Medical Research Council, 2008-2012 and from 2019. Recipient, Senior Research Award, Professional Society on Alcohol and Drugs, 2013. Recipient, National Drug and Alcohol Award for Research Excellence, 2007. For significant service to the building and construction industry through professional organisations. Former Executive Officer, Industrial Relations and Safety. Former Member, Building Awards Conciliation Committee. Former Member, Construction Industry Training Advisory Board New South Wales. Chair, Mates in Construction, since 2014. Director, Australian Construction Industry Redundancy Trust, since 1996. Committee Member, New South Wales Building and Construction Industry Long Service Payments Committee, current. Committee of Management Member, Construction Industry Drug and Alcohol Foundation., 2004-2015. Adjunct Fellow, The Western Sydney University. Director, Building Workers Assistance Centre, 1994-2012. Director, Mend Pty Ltd, 1998-2010. Member, National Labour Consultative Council, Federal Government Peak Advisory Council, 2006. Alternate Director, Allied Construction Employees Superannuation Fund, 1998-2005. Director and Alternative Director, Construction + Building Superannuation Scheme, 1994-1999. Former Member, Construction Policy Steering Committee. Former Member, Construction Industry Consultative Committee. Ministerial Appointment, New South Wales Council for Women’s Economic Opportunity, 2014-2018. Inductee, Fellow, Australian Institute of Building (FAIB). Brian Seidler told J-Wire that the recognition was totally unexpected and certainly humbling. “I have just been doing my job,” he said. For significant service to the Jewish community, and to the hospitality industry. Board Member, The Tourism and Transport Forum Australia, since 2007. Director, Australia/Israel and Jewish Affairs Council, current. This Award is really an acknowledgement of the incredible management team and Board at JewishCare and testimony to their competence and dedication. He is proud of the current composition of Board and executive leadership team at JewishCare. “I have worked across many enterprises and believe that the leadership and management skills of Claire Vernon and her team, together with the exceptional depth and talent of the current board, are as strong as any I have worked with,” Allan Vidor told J-Wire. He intends having l’chaim with his family over the weekend. Member, Audit and Remissions Committees, since 1986. Trustee, Library Fund, since 2010. Director, Black and Krantz (paid employment), since 1981. Fellow, Tax Institute of Australia, current. Recipient, Yakir Award, United Israel Appeal, 2018. Recipient, Askan Award for outstanding voluntary service, United Israel Appeal, 2005. Julian Black says that he has managed to keep the knowledge under wraps that he is receiving an award. “It is a recognition for myself and for the organizations for whom I have worked, some for 20 and 30 years. When you work for a communal organization you are not doing it for money” he said. He is pleased that he has a housewarming party planned to show off his renovated home so will be sharing the occasion with friends and family then. For service to youth through a range of organisations. Founding Chief Executive Officer, Little Dreamers Australia, since 2009. Author, ‘My Brother is Sick Again’, 2016. Volunteer, Stand Up, many years. Westpac Social Change Fellow, 2018. Recipient, The Queen’s Young Leader Award, 2017. Finalist, Young Australian of the Year, Victoria 2015. Member, Fastrack Innovation Program, RMIT, 2015. Recipient, Jenny Goldberg Community Service Grant, 2013. Recipient, Young Citizen of the Year, Glen Eira Council, 2005. “I am very excited and very honoured. I am trying to process this and I didn’t expect it but it does shine a light on young carers”. said Madeleine Buchner. When Madeleine was 9 she started running fundraisers with a group of friends as she was a very young carer. The aim was to raise money for carers, as well as for brothers and sisters of sick kids. launched in 2009. Growing up with and running Little Dreamers, helped her and helped other carers. Working with over 4000 kids a year, it breaks down stigma offers support programs, peer support, mentoring and tutoring, as well as holiday programs, a yearly festival, and the Dreamers Hub. Madeleine has written a children’s book, My Brother Is Sick Again illustrated by her mother Lisa, based on her childhood experiences. She also volunteers with her mother for Stand Up, and is an advocate for young carers. Executive Director, Victorian Chapter,Australian Friends of the Hebrew University, since 2006. Executive Director, Victorian Chapter, United Israel Appeal (UIA), 1998-2003. Director of Development,Australia Israel Cultural Exchange (AICE), 2004-2006. Founder, Association of Israelis in Australia (AIA),2011. Leader of Delegations, Australian Chapter, World Presidents’ Organisation, 1998 and 2005. Leader of Delegations, Young Presidents’ Organisation,2006. Member, Israeli Business Club, Australia, 2014. Former Member, Palestinian Dialogue Group, La Trobe University. Producer, Hebrew radio show for SBS. Recipient, Community Award, Jewish Community Council of Victoria, 2010. Eitan Drori told J-Wire: “This is not just a personal achievement. It is also a tribute to a wide range of exceptional Australians and Israelis who, through sharing their knowledge and expertise, have forged links of enduring benefit to their countries. Bringing together those experts in areas including the sciences, arts and information technology, has been an honour and a privilege. My work has been made possible by the tremendous goodwill of the many who have assisted me in Australia and my birthplace, Israel – the two countries I am proud to call home. For service to the community. Volunteer, Sydney Children’s Hospital, Randwick, since 2001. Volunteer Interviewer, Undergraduate Admissions, Medicine and Education, UNSW Sydney, since 2005. Teacher, English (ESL), Institute of Languages, 1986-2006. Recipient, 15 Year Service Award, Sydney Children’s Hospital, Randwick. Esther Gans told J-Wire that she was “surprised, honoured and humbled by her award. “There are lots of people who have done more than I have, but it is nice to be appreciated,” she said. After retiring from teaching, she was looking for something to do and volunteered at Sydney Children’s Hospital. Helping parents and their children through a difficult time is something she finds most worthwhile and gives her a reason to keep on volunteering. For service to the media and communications sector, and to the community. More than 40 years of service and contribution to the media and communications sector, as an adviser to significant Australian companies and institutions, with his professional skills sought at the highest levels of Australian businesses. More than 40 years of service and contribution to the community as pro bono adviser in media communications, issues and crisis management to charitable, community and not-for-profit organisations, including honorary adviser to The Salvation Army for 35 years, providing communications counsel across humanitarian activities, including Salvos Legal, committed to making a practical contribution to the well-being of others, especially Australia’s most vulnerable, dispossessed and lonely people. Alex Gottshall told J-Wire: “I am very grateful to receive this honour and fortunate to be involved in such an inspiring and stimulating profession. There are many people I admire who have contributed, for example, the hard-working journalists I’ve been privileged to liaise with, the corporate leaders who have sought ongoing counsel and the unsung charity heroes, especially the Salvos who give such compassionate support to those in need in our Australian community. My sister, Eva and I are children of Holocaust survivors, Rabbi Dr Benjamin Gottshall and Rebbetzin Jana Gottshall, who came to Australia to start a new life after their entire families perished under the Nazis, yet they always believed the world is a much better place when there is kindness, respect and understanding. They imbued in us ongoing love for this wonderful country, dating back to its First Peoples, and raised us to appreciate the importance of community service. For service to medicine in the field of mental health. Founder and Director, Court and Community Liaison Service, NSW Justice Health and Community Mental Health Network, since 2002. Senior Conjoint Academic, School of Psychiatry, University of New South Wales, current. Member, Centre of Research Excellence in Mental Health, National Health and Medical Research Council, current. Director, State Forensic Mental Health Services, Western Australian Department of Health, 1999-2002. Recipient, Dean’s Award, Faculty of Medicine, University of New South Wales, 2015. For service to sports administration. Secretary, Hall of Fame Awards, 2008-2009. Volunteer, Maccabi Junior and Senior Carnivals, and at the Maccabiah Games held in Israel, 1990-2017. Hall of Fame inductee, 2016. Joan Hillman told J-Wire: “I have been a volunteer since I was 13. It all started with the Jewish Lads and Girls Brigade in Glasgow from age 13 to 18 – an organisation which assists in discipline and assisting children which by virtue of its work promotes the personal and social development of young people. Through this organisation I was able to gain the Duke of Edinburgh Award of which I am proud. I then continued as a prominent member of JNF/KKL fundraising committee in Glasgow for many years raising thousands of pounds for Israel. I was also an active member of WIZO Aviv in Glasgow and the cookery calendar we started mid-1970’s is still produced annually. I call myself a professional volunteer – being an integral part of Maccabi WA and Maccabi Australia since 1989 and now involved with JCCWA – a great challenge and every bit as enjoyable. Honorary Secretary, Rabbinical Council of New South Wales, since 1998. Secretary, Organisation of Rabbis of Australasia, 2013-2015. Director, Kol Shira Learning Centre Bondi, 2012-2015. Aide, Sydney Beth Din, current. Honorary Resident Rabbi, Sydney Jewish Centre on Ageing (CoA), since 2004; Volunteer teacher of educational and enrichment classes, since 2000; Nursing Home Visitor, 20 years. Itinerant Rabbi, Surfers Central Synagogue Queensland, 2006-2007. Chazan and Associate Rabbi, Central Synagogue Sydney, 1992-2004. Author, ‘The Cosmic Diamond’ (2015); ‘Fragment of The Hammer’ (2013); ‘Spirals of the Soul’(2018). Rabbi, The Caro Synagogue, 2004-2005. Rabbi Chaim Ingram has worked as a volunteer for the Sydney Jewish Centre on Ageing (COA) and honorary secretary of the RCNSW for the past quarter-century. He said: “I believe the citation says “for service to the Jewish community”. It would appear that in particular I have been recognised for my work as a volunteer for the Sydney Jewish Centre on Ageing (COA) and honorary secretary of the RCNSW for the past quarter-century. I am proud of that citation but humbled by the award. Most of my rabbinic colleagues work tremendously hard for their communities My honour also reflects honourably on them, particularly those I have worked with at executive level over the many years, as well as of course my selfless co-volunteers at COA. Most of all the honour belongs to my wife and family without whose support I could have done nothing. I would also like to pay tribute to Central Synagogue who brought out our family to this wonderful country in 1992. I hope that I have made a positive difference in peoples’ lives over the years through my teaching, writing and counselling. I daven to the Alm-ghty that He give me the health and strength to continue to be able to do so surrounded by my wonderful family for many years to come. For service to the pharmacy profession. Past Chair, Continuing Pharmacy Education Committee. Past Chair, Victorian Pharmacy Self-Care Committee. Past Chair, Legislation, Ethics and Membership Committee. Past Chair, Methadone Committee for Pharmacists. Delegate and speaker at International Conference on the Reduction of Drug-Related Harm, 1992 and 1996. Member, Organising Committee, National Methadone Conference, 1996. Past Chair, Drugs and Harm Minimisation Committee. Past Chair, Drugs and Policy Committee. Member and occasional member of several committees, Victorian Health Department. Past Chair, Consumer Education Committee. Past Chair, Planning, Investigations, Education and Audit Committees.  Past Member, State committee, Victorian Branch, Pharmacy Guild of Australia, 10 years.  Distinguished Service Award, Victorian Branch, Pharmacy Guild of Australia. Vice-President, 1995, 1996, 2002, 2006 and 2012. Member, Board of Management, 1991-2012. Convenor of morning services, past 10 years. Past Chair, Australian Rotary Health Fund, District 980. Guide, Jewish Museum of Australia, current. Member, Courage to Care, current. Past Executive Member, Council of Orthodox Synagogues of Victoria. Past Council Member, Yavneh College. Manager, Australian Hockey Team, Israel Maccabi Games, 1993. Manager, Australian Table Tennis Team, Maccabi Games, 1989. Inductee, Maccabi Victoria Hall of Fame, 2000. Community Service Award, Jewish Community Council of Victoria. Councillor, City of St Kilda, 1984-1987. Past President, St Kilda Community Health Care. Past President, St Kilda Chamber of Commerce. President, Victorian Amateur Hockey Association, 1971-1972. Past Assistant District Commissioner, Scouts Association. He told J-Wire: “This honour recognises the important role of the pharmacist in today’s society. Medication counselling, drug abuse, overdosing, addicts of all kinds, medication disposal, medication management, are all important issues in the hands of pharmacists today. Ask your pharmacists – they are well educated and trained to know. I have been privileged to be a leading member of a team which developed and conducted courses for the education of pharmacists who supply Methadone to Heroin addicts. For service to the law. Director, 2001-2015 and since 2017. Chairman, Corporate Governance Committee, 2014-2016. Council Member, 2001-2005 and since 2017. Member, Taxation and Revenue Committee, since 1987. Member, Journal and Library Committee, 1979-1982. Member, Library Committee of the Supreme Court of Victoria, since 2008. Australian Vice-President, Section on Taxes, International Bar Association, since 2001. Head of Tax, Madgwicks Lawyers, since 2014. Convenor, Managing Partners Group, since 1998. Member, Committee of Management, Executive Council of Australian Jewry, 2012-2015. Trustee, Melbourne Chevra Kadisha, since 1985. Chairman since 2003. 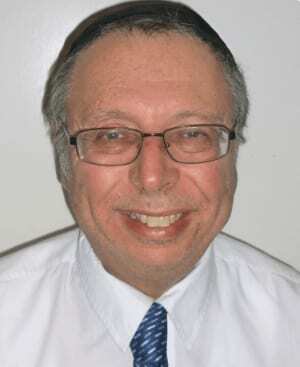 Board Member and Honorary Solicitor, Melbourne Eruv Pty Ltd, since 1995. Chairman, The Chessed Foundation, since 2016. Vice-President, 1993-1997 and since 2003. Chairman of Affiliation Committee, 1992-1997. Foundation Chairman, Vice Chancellor’s Alumni Advisory Committee, 1991-1996. Foundation Secretary, Monash University Law Alumni, 1981-1985. Chairman, Monash University Association of Students, 1971-1972. Secretary, 1968-1971. Board Member, National Association of Forest Industries, 2006-2011. Member, Melbourne Branch, Committee of Australian Forest Growers, since 2004. Volunteer Recognition Award, Glen Eira City Council, 2013. Tom May says that he is just one of thousands of volunteers who willingly give their time to a wide variety of causes. “I suppose this belongs to my family as they were the ones that suffered when I was busy at all the meetings I have attended, so this is really for them,” he said. For service to community health. Founder and President, Jewish Bereaved Parents, since 2011. Volunteer, Golden Age Club, National Council of Jewish Women of Australia (Vic), current. Co-Founder and Vice President, CRAVAT Foundation, since 2008. My first instinct on hearing of my nomination was that I didn’t deserve it”, Cynthia Pollak told J-Wire. However, she said that she is flattered to be nominated. When she looks back over the past 20years she knows that she has provided much needed support for a lot of people with the support groups she founded. When her son Danny was diagnosed with a rare cancer at the age of 19, she was told there was not enough money for research into such rare cancers. Pollak started a support and 350 people joined, and she went on to createa registry of rare cancers with details of each case. The registry has been widely used. Danny died in 2008 and a registry since created at Royal Melbourne Hospital is dedicated to him. Inducted into the Maccabi Hall of Fame, 2016. Fundraising Coordinator, Hall of Fame, 2016, 2009. Sponsor, numerous Maccabi events, publications and billboards, 1979-2001. Administrator of the Year, 1984. Maccabi Club Competitor in soccer, basketball and athletics, 1950s-1960s. Chairman, WAFL Council of Presidents, 2007-2008. President, West Perth Football Club, 2003-2008. Life member, West Perth Football Club, 2000. Founder and Organiser, Living in Retirement, current. Lay Leader, Perth Hebrew Congregation, and Perth Jewish Representative, Council of Christians and Jews of Western Australia, current. Inaugural Chief Executive Officer and Co-Founder, WA Motor Industry Foundation(renamed Wheels of Hope), 2006-2012. Justice of the Peace, current. Inaugural President, Rotary Club of Balcatta, 1980. Former Fundraising and Social Director, Apex Club of Bondi. Former Public Speaking and Fundraising Director, Apex Club of Scarborough. General Manager and Dealer Principal, Big Rock Toyota, 1979-2001. Member, Australian Automotive Dealers Association, 1974-2001. “I feel quite bewildered. I feel that I have been recognised for doing something that I love,” said Colin Rockman. Mr Rockman started with APEX, a young men’s organisation which worked on confidence, debating and speaking. In 1970 he walked into the APEX club in Bondi, made friends and received invitations to BBQs and dinners. It set up a wonderful rekatinship of people and friendships later on in Sydney for Colin and his wife. All of his community endeavours were inspired by both his father and late father who were both active and showed him leadership. 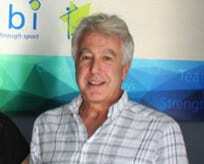 Colin has been involved with sports and sports administration since 1995 with West Australia Football League Club, where 4 of the Presidents were Jewish and led the club to winning a Premiership, as well as with Macabbi WA. Colin is currently the Founder and Organiser of Living in Retirement. 40-50 retired Jewish males meet weekly, enjoy Kosher catering, and listen to talks from a variety of people. Colin is also a JP. Former Chair of Marketing, Fundraising and Speakers Group. Instrumental in getting Court Network into Queensland in Brisbane, Cairns and Townsville, 2007. Director, Victorian Sentencing Advisory Council, 2004-2018. Consumer representative, Safer Care Victoria , Department of Health and Human Services, 2017. Board Member, Victorian Association of Care and Resettlement of Offenders (VACRO), since 2011. Ambassador for the Australian Prostate Centre Art Auction, to be held in February 2019. · Board member, One Umbrella(now Fair Share), approximately 5 years. Ambassador, Windana Drug and Alcohol Recovery, 2012. Inaugural Convenor, Royal Melbourne Hospital Neuroscience Foundation; Committee member ICU RMH Project. “I am proud, delighted and humbled to receive this award,” Barbara Rozenes told J-Wire. When she first learned she had been nominated, her first thought was for her parents who came from Poland and what it would have meant to them. “I am most fortunate to live in a country where we can live freely. With all my not-for-profit efforts being outside the Jewish community, I hope I have been an ambassador for Jews” she said. She says she has been enriched by her experiences in the general community and helping people at a difficult time in their lives. Vice-President, Union for Progressive Judaism, since 2015. President, Progressive Judaism Victoria, 2013-2015; Vice-President, 2011-2013. Executive Member, Zionism Victoria, since 2011. Executive Member,Jewish Community Council of Victoria, since 2011. Chair, Board of Governance, 2003-2018. President, Board of Governance, 2008-2010. Vice-President, Board of Governance, 2005-2008. Member, Board of Governance, 2000-2013. Former Chair, Fundraising, Social Justice and Corporate Governance Committees. Member, State Board of Management, 2003-2014. Member, North West Village Board of Management, 204-2012. Former Area Leader, Glen Iris. Fellow and Certified Practising Marketer, 1997. Treasurer, Victorian Division, White Ribbon Australia, since 2015. Chair, Industry Advisory Board, RMIT University Business School, 200-2016. Deputy Chairman Australian Confederation of Apparel Manufacturers 1987-1988. Deputy Chairman Apparel Exporters Association 1987-1988. President, Victorian Parent Council, 1997-1999. · Deputy President, Australian Parents Council, 1997-2000. Board Member and Secretary, Victorian Parents Council, 1989-1992. Acting President, Wesley College Parents Association, 2000-2001. President, Auburn South Primary School Council,1989-1990; member, 1984-1992. Brian Samuel told J-Wire: “I’m absolutely delighted. This is a combination over over 50 years of service to various both government and non government organisations.” His involvement began in the Neighbourhood Watch Program and in the past 4 years has been the VP of the Union for Progressive Judaism. “My family has always worked in community service. My father and 3 brothers have always been involved. It was the part and parcel of our education. I was raised in a very fortunate background and it was our obligation to give back to the community. Wireless Institute of Australia Assessor, since 2006. Member, Wireless Institute Civil Emergency Network (WICEN), since 1997. Volunteer, Jamboree On The Air – Jamboree on the Internet, Scouts Australia, many years. Volunteer, Shahzada 400km Endurance Ride, since 2006. Volunteer, Hawkesbury Canoe Classic,since 2006. Volunteer, Sir Moses Montefiore Home, since 2008. Raphael Shammay told J-Wire that Australia is a paradise and enjoys being involved and giving back. “I am a private person and am humbled by this honour and recognition,” he said. He enjoys interacting with Montefiore residents by helping them understand different aspects of using computers such as Facebook and Skype. “When you give something, you get something back,” he said. As an amateur radio operator, he is part of a network using WICEN to help search and rescue teams find people who are in trouble in places in Australia where there is no internet. For service to the community health. Member, National Support and Advocacy Committee, 2005-2012. Chair, Victorian and Tasmanian Chapter, 2006-2010. Group Leader, Prostate Heidelberg, since 2005. Member, Joint Community Advisory Group, since 2010. Member, Scientific Advisory Group, since 2011. Member, Advisory Committee, since 2016. Member, Scientific Advisory Committee, since 2016. Member, Consumer Advisory Panel, Australian and New Zealand Urogenital and Prostate Cancer Trials Group, 2012-2015. Member, Consumer Reference Group, North Eastern Melbourne Integrated Cancer Service, current. Advocate, Cancer Action Victoria, 2010-2014. Member Steering Committee, Prostate Outcomes Registry Victoria, since 2010. Recipient, Max Gardner Award for Distinguished Service, Prostate Cancer Foundation of Australia, 2012. His work is mainly cancer related and he became active in support groups in local and state level. He kept getting asked to be involved in committees and found it gratifying work. His roles have been on advisory committees and scientific groups particularly with Prostate Cancer. He was also involved with various studies, and research. For service to the Jewish community, and to industry. Former New South Wales President. Managing Director, Southern Steel Group, since 1986. Board Member, Australian Institute of Steel Construction, 1997-2002. Board Member, Institute of Steel Service Centres of Australia, 1997-2002. Involved with the establishment of the Anzac Museum in Beersheba. I think if someone holding an OAM is given an AM then the OAM is no longer referred too. Same for the other honours if the person is upgraded. However I find it odd that someone who has an honour already is upgraded for doing generally the same things.